The Altunizade Divinity School Mosque, one of the largest mosques in the Anatolian side of Istanbul, was renewed with the donations of Eksim Holding with a modern concept of architecture which is completely different from the former. 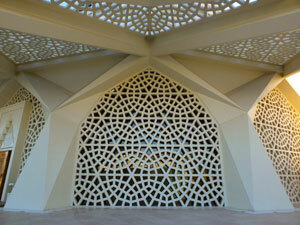 The modern lines of the mosque designed by Hassa Mimarlik were planned by the Architect Hilmi Senalp. 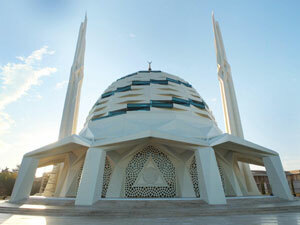 The dome featuring a unique design composed of 12 genes with steps uses giant Fibrobeton glass panels with a length of 8 m.
Special mold were prepared for panels used in minarets boasting a special plan scheme. 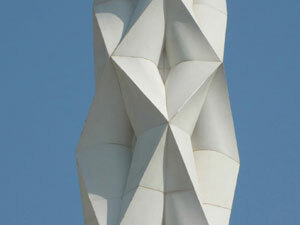 The sunblinds used both in the porch section and on the façade of building were solved with Fibro-Light® Sun Screens. Special forms were preferred for the sadirvan and fringed cladding at the main entrance.